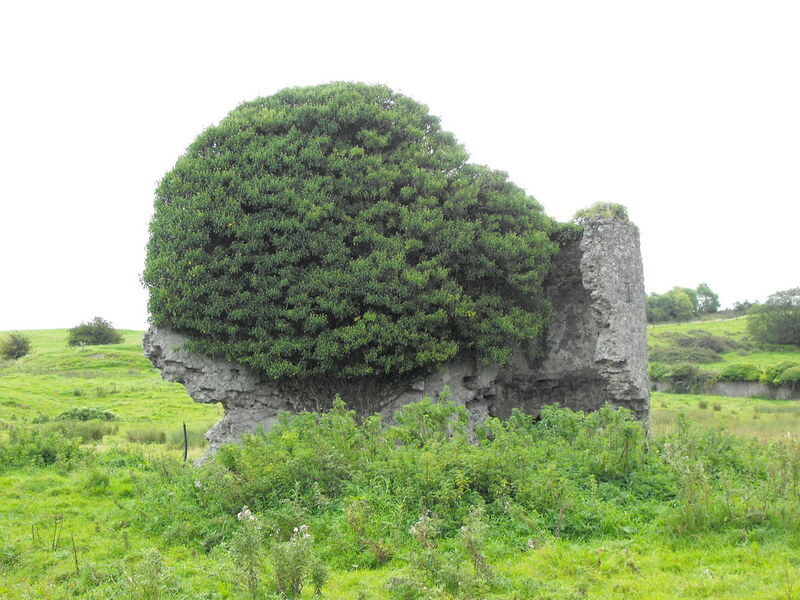 The Standing Stone: Ballymooney Castle, Oakleypark, Co. Offaly. 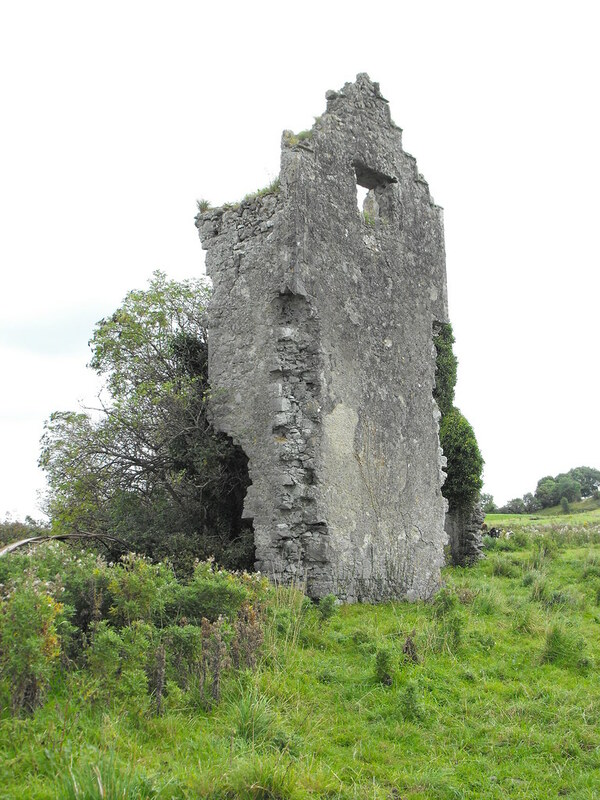 Ballymooney Castle, Oakleypark, Co. Offaly. 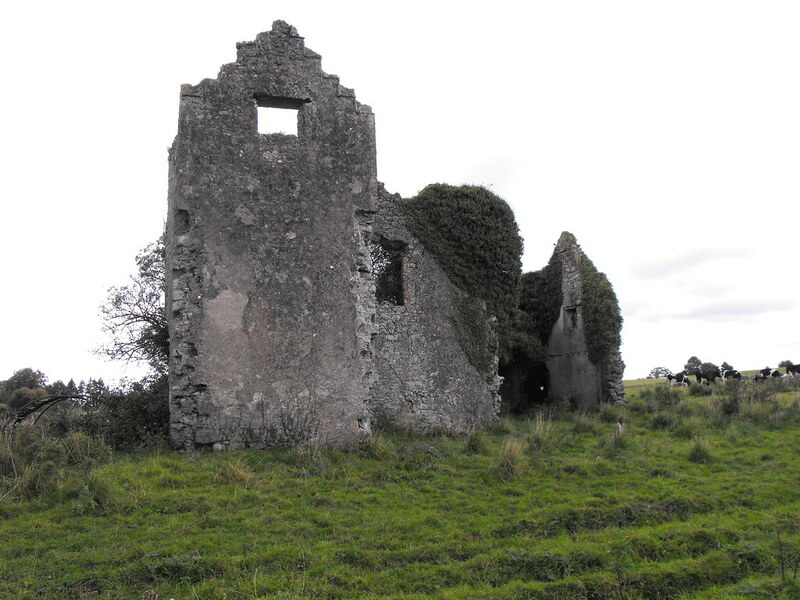 Location – Just off the R421 North of Roscrea. 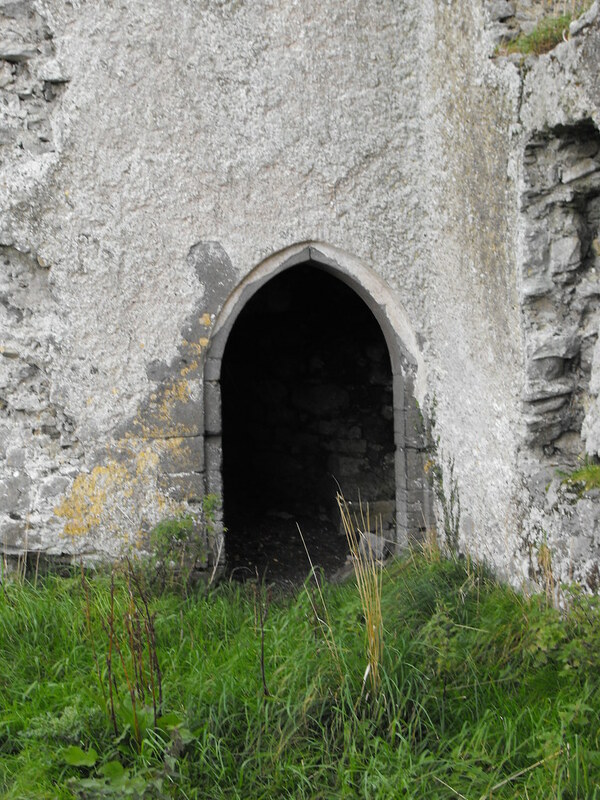 Description and History – This fortified house is somewhat unusual in its design. In some regards it is just a standard U shaped house but the presence of so many towers makes it odd. 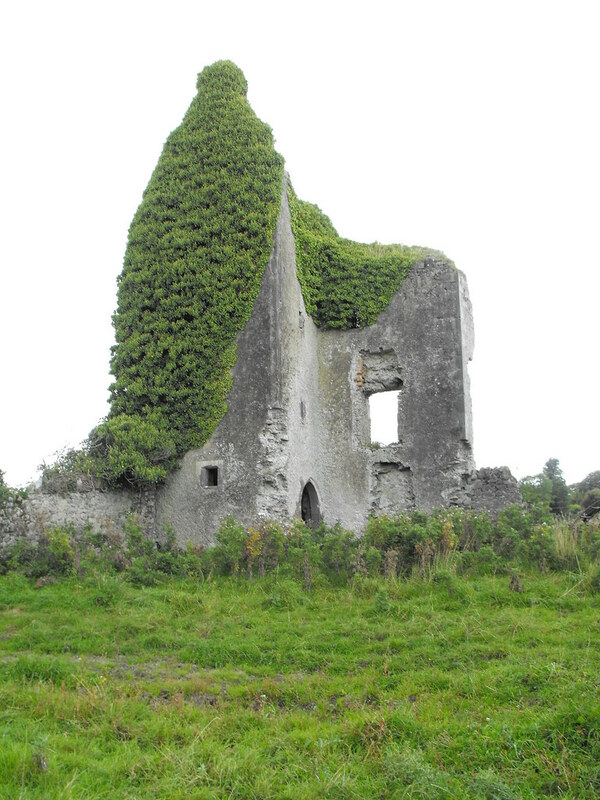 Three of the four towers of the house survive in a ruined state. The fourth was nowhere to be seen. One stands isolated from the main house while another is attached but in bad repair. The other remaining tower is disguised and not at first visible. The exterior of the tower is rectangular in plan but circular on its interior and stands its full four storeys high. 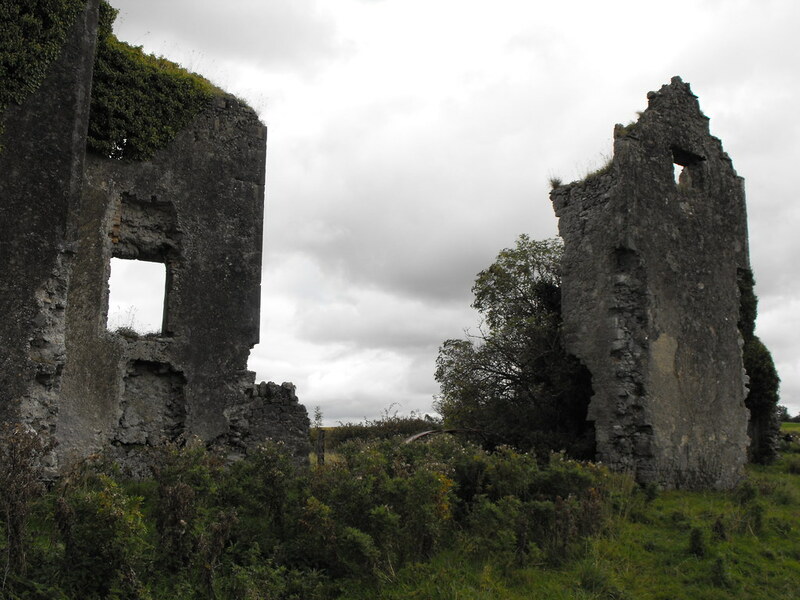 The main house is all but gone which is a shame as this would have been a fine fortified house in its day. Certainly a lot of imagination is now required to imagine it in its former glory. 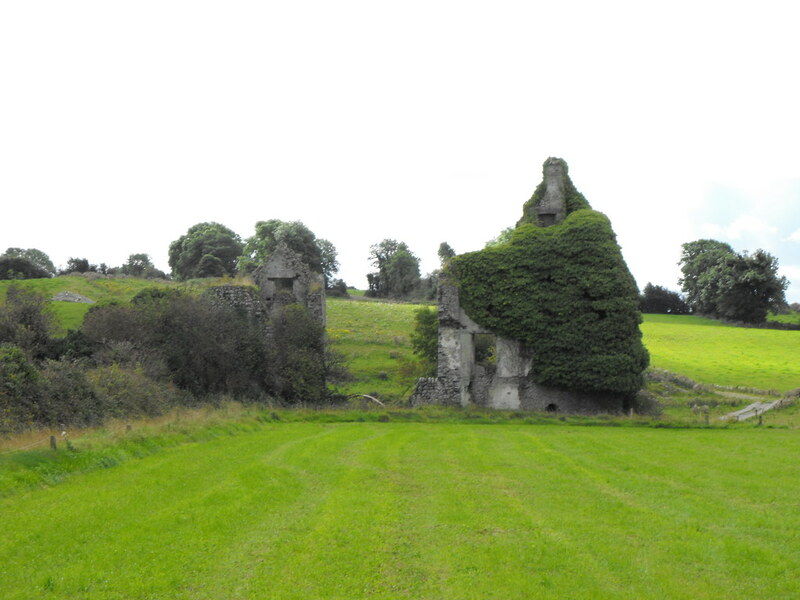 The outer bawn is still visible but which walls belong to the house and those to the nearby farms can be hard to distinguish. 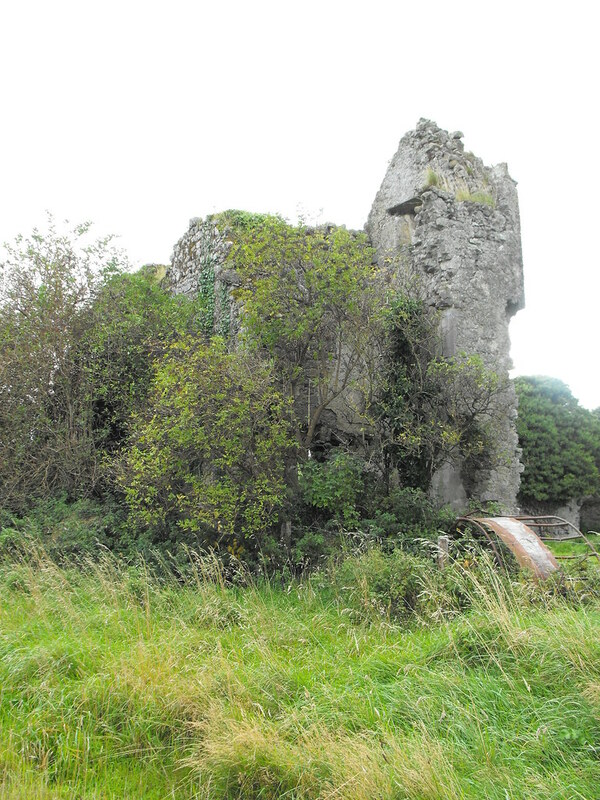 The castle was built in c1622 and was the property of one Daniel O’Carroll. 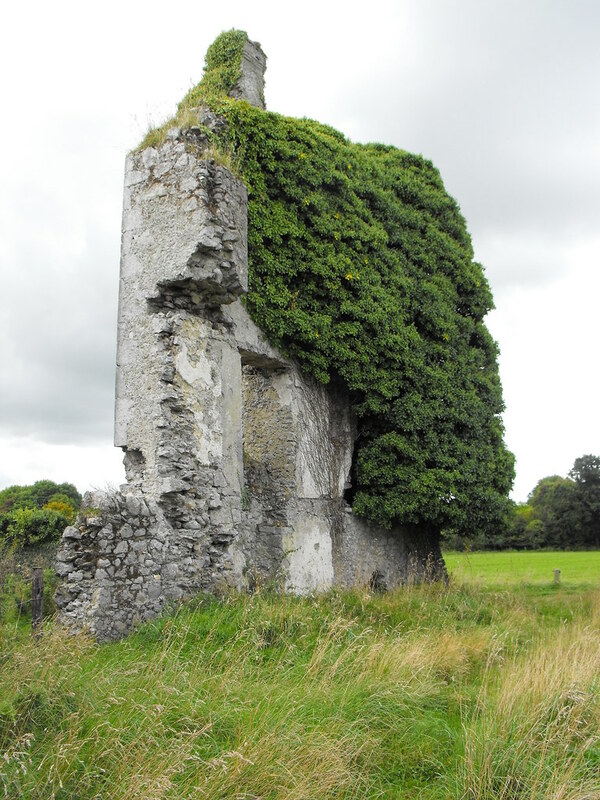 He was dispossessed after aiding Irish rebels in 1641. He ended up in Mayo with an 1100 acre estate. 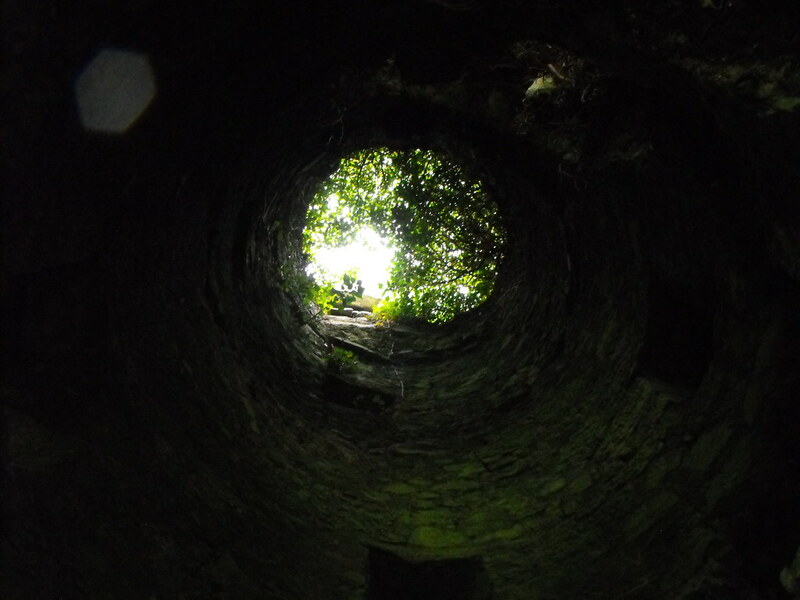 The castle appears to have fallen into ruin not long after – only having been occupied for less than 20 years. Difficulty – Access is only through a farmyard so permission is a must. 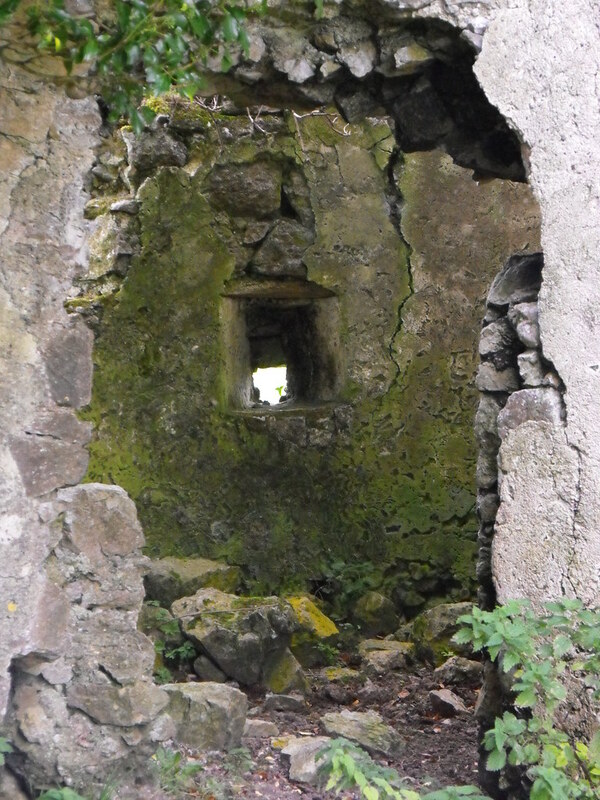 I was kindly shown the way by the owner who seemed more than happy to accept visitors and is use to people coming to see the ruins. You may have to traverse a couple of electric fences but these are all low enough to step over. Beware of cattle.